If you are looking for a new cattery then the good news is that there is now an alternative to plastic or UPVC catteries, we produce a cattery offering that exceeds these and one which has many benefits to the cattery owner. 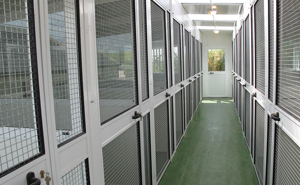 After designing and installing some of the leading dog kennels over the last 5 years we were asked if we could build a cattery solution that would not only match but exceed what other companies were offering. 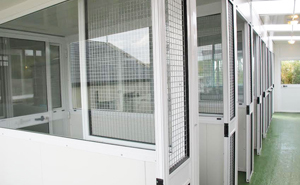 We have now manufactured and installed a number of catteries that are the only cattery solutions that are truly structural in the UK. This means that now cattery owners can purchase a strong , durable cattery that will not only perform better than the UPVC catteries but will last significantly longer too. The structural integrity of the cattery means that structure is designed to handle high wind speeds and heavy snowfall and the roof can take heavy loads of solar panels if required, without any concerns for sagging or roofs leaking. Our main aim was to design a cattery that overcame the many issues of plastic and UPVC catteries and importantly what we believe to be the future in cattery construction. The first and most significant concern is that UPVC has extremely poor thermal qualities which means that regulating temperature is near on impossible causing the catteries to overheat in hot weather, these conditions are not only dangerous for the cats but also unpleasant for the catteries staff. 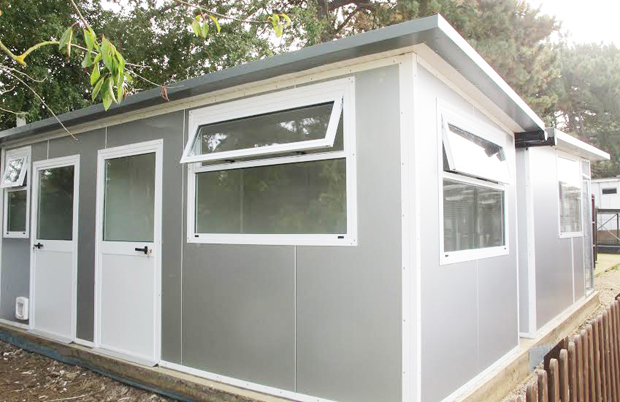 We build our catteries from our unique aluminium clad composite material which can be manufactured from different thicknesses from 40mm, 60mm, 100mm or 140mm thick walls and roof profiles. The fantastic thermal properties of this material means that temperatures can easily be regulated keeping the catteries warm in the cold winters and very cool in the hot summer months, this is a significant breakthrough in cattery design. Another benefit of this material is that it becomes much cheaper to run a catttery as annual heating costs are reduced as the thermally efficient cattery needs less ancillary heat during the colder periods and easily maintains the CIEH minimum cattery requirements of 10 degrees celsius. Conversely the catteries stay very cool during very hot days so the cats and staff are more comfortable as the temperatures are much lower and this produces a better environment for all occupants. Due to the fact that temperatures are regulated this helps to reduce condensation which is a tendency as temperatures fluctuate daily as the material isn't expanding and contracting as much as their UPVC counterparts, this means that we can overcome the problems of movement or creaking and the problem of doors and windows sticking when the temperatures change outside. Our KennelSpace catteries are available in a wide range of colours so no longer do you only have the choice of white, we can now build catteries that will blend into your landscape and look good for many years to come. If you are looking for the next generation cattery then why not get in touch to discuss your requirements with our friendly sales staff who will talk you through the options.